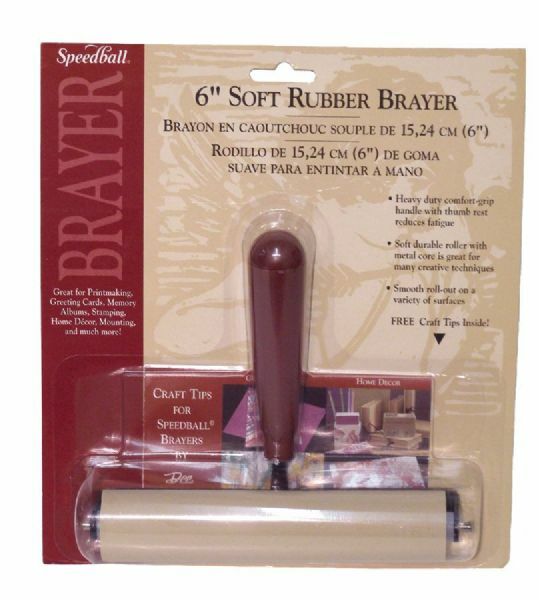 Heavy-duty steel frame and smooth soft rubber roller mounted on a sturdy plastic core eliminates warping for smooth roll out on a variety of surfaces. * Made from pure gum natural rubber with a ground finish roller is great for many creative techniques. * Durable plastic comfort grip handle fits easily in the hand.